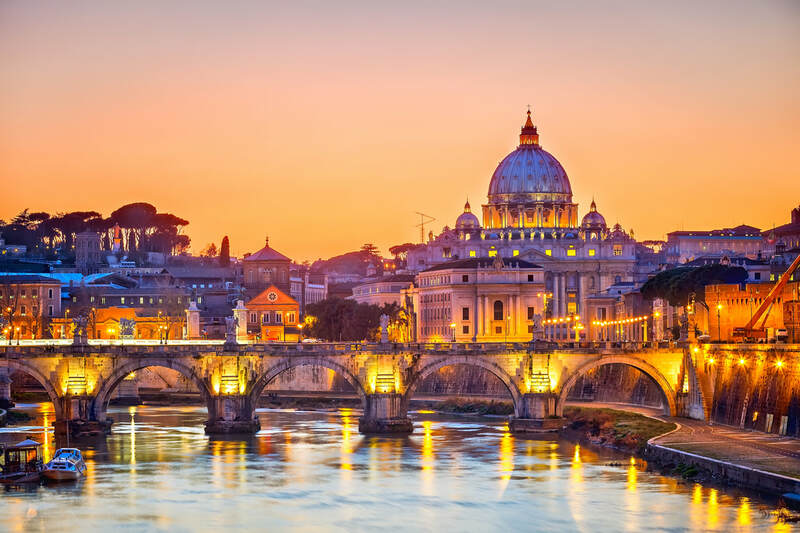 Experience the most beloved cities in Italy; Venice with it’s intricate maze of canals; Florence, the birthplace of the Renaissance; and Rome, “The Eternal City”. Spend your nights in historical and centrally located hotel, while during the day a private guide shows you all these cities have to offer. ​Venice. City of romance: a bridge arching over a canal, a gondola gliding by, the moon reflecting off water. See the Basilica di San Marco, the Bridge of Sighs, the Gallerie dell’Accademia, the Peggy Guggenheim Collection, and so much more. Boccaccio, Michelangelo and the Medicis, and the days of the Renaissance seem close at hand. Visitors' first glimpse of the Duomo is likely to take their breath away. The vitality of this small city, the robustness of its cuisine, the enduring beauty of its architecture and the richness of its treasures cannot fail to educate, exhilarate and dazzle those who visit Florence. ​Rome. Bustling, beautiful Rome, sprawling among its seven hills, is fascinating for both its ancient and its modern wonders. The stunning art and architecture, the grandeur of scale and the lively citizens, all guarantee an unforgettable trip. Climb up into the dome of St. Peter's or admire the panorama from the top of the Spanish Steps at sunset. Includes: accommodations, transporta-tion, Comfort Class rail tickets between cities, private guides, skip the line tick-ets at Doges Palace, Accademia Gallery, the Colosseum, and Vatican Museums.